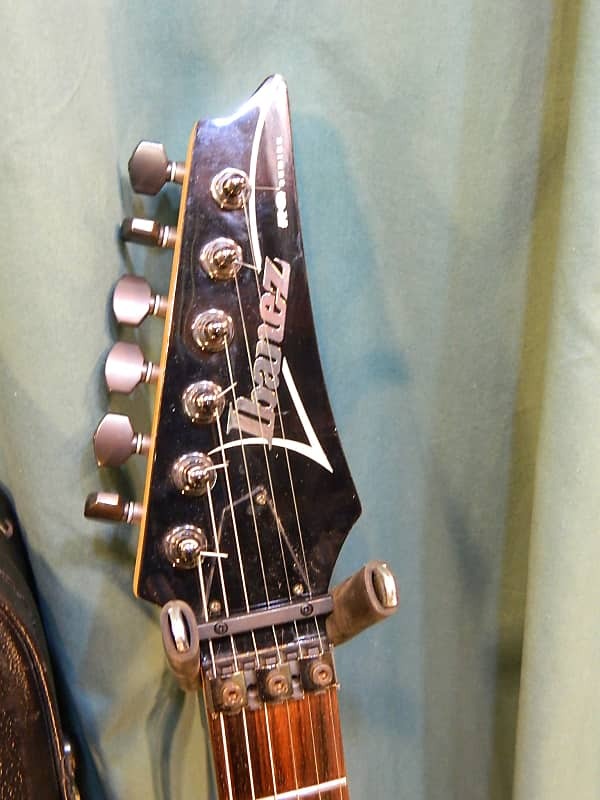 2000 Ibanez RG-570: This guitar is much darker in person that in the photos. I will try to get it photographed in better light. 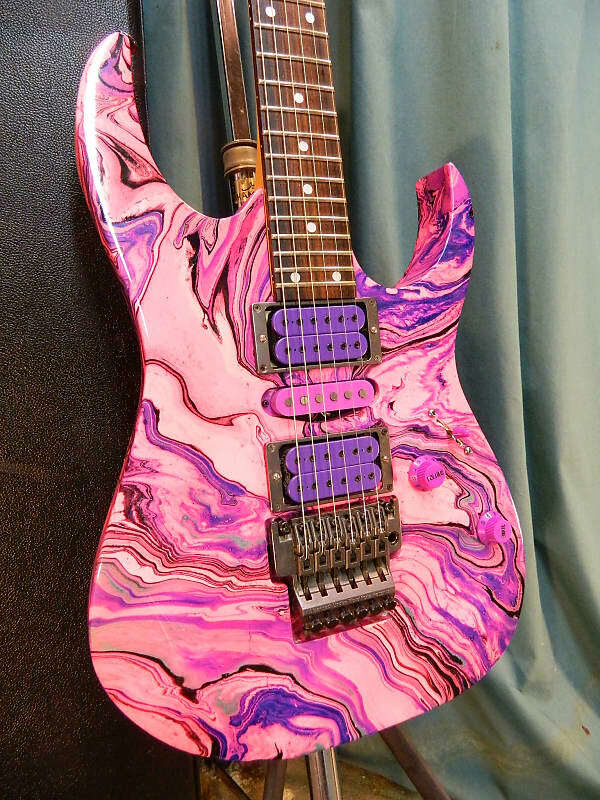 This guitar was refinished professionally. There are no markings to tell us who did the work but it is clearly a Pro job. 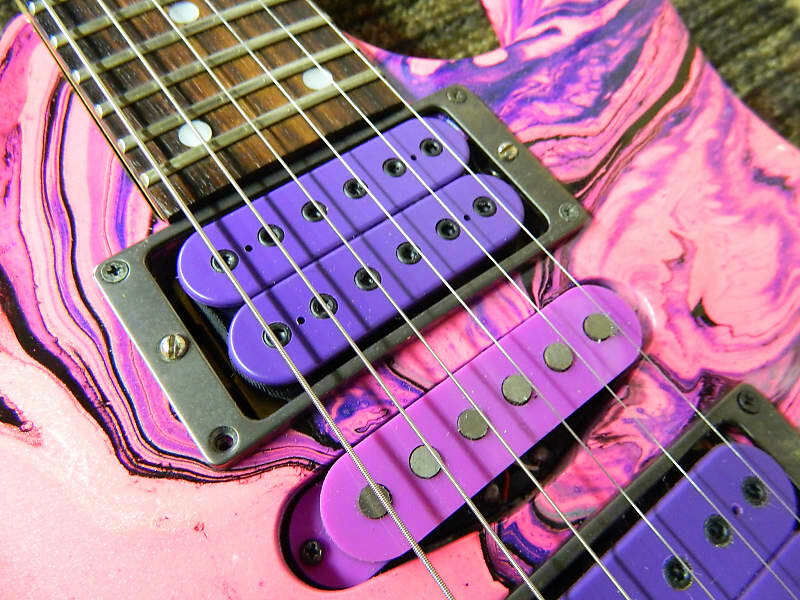 The humbucking pickups are Dimarzio PAF Pro just like the original JEM and the single coil is the original Ibanez SL-1. 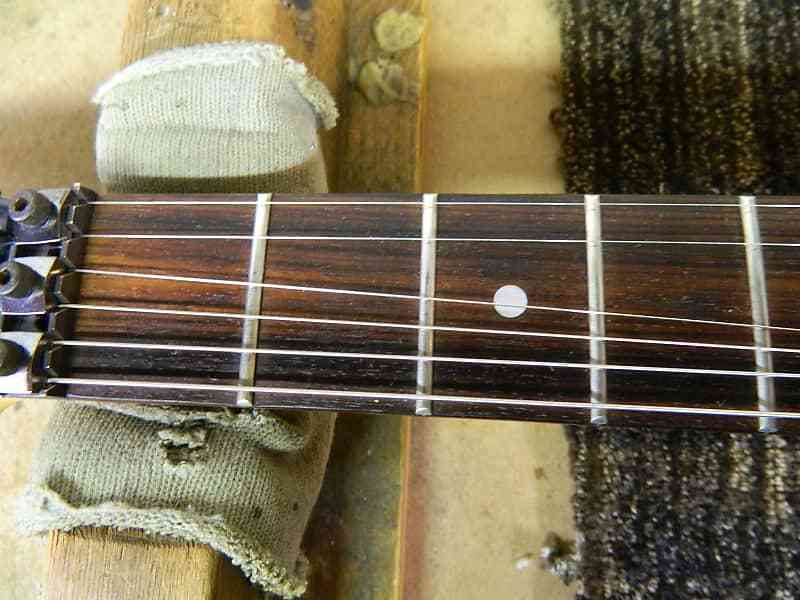 The neck is a Wizard profile with 24 frets and no fret wear. The guitar has just been set up with 9 gauge strings. 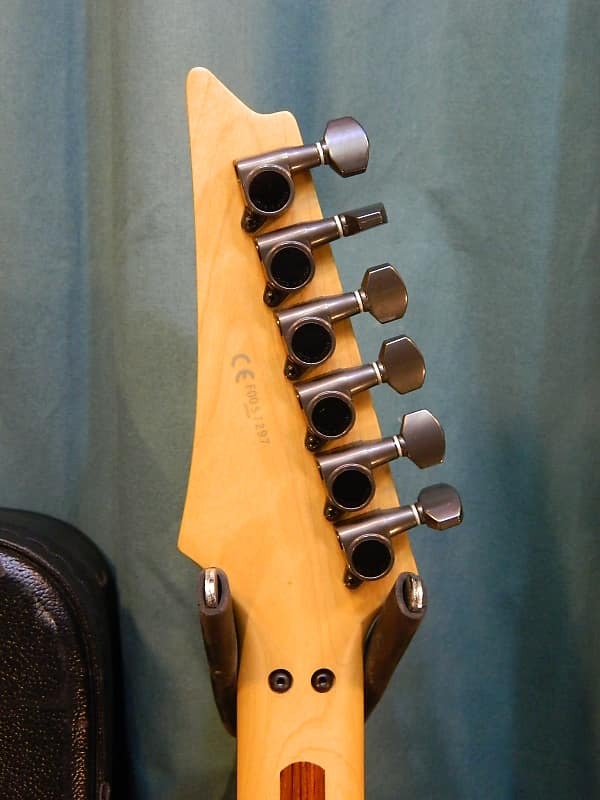 The tremolo arm is included. There are a few small chips in the finish on the back edge near the input jack area. 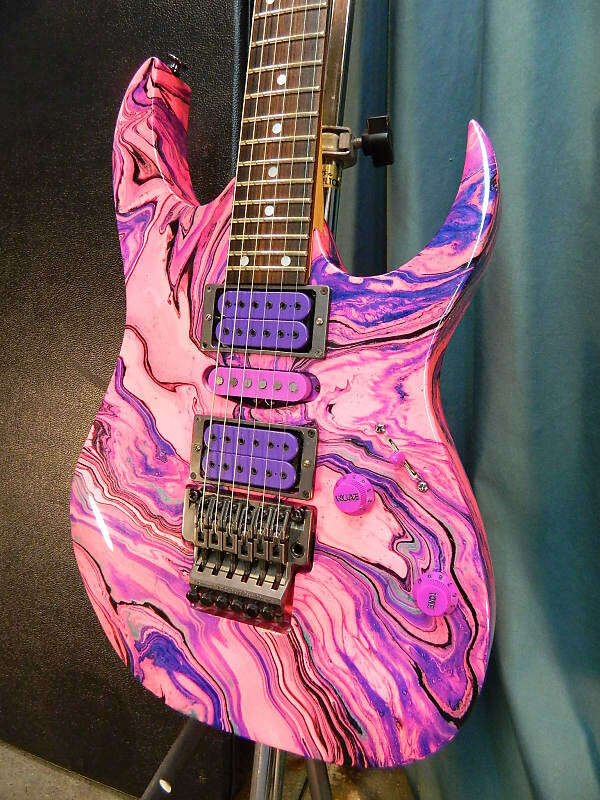 The guitar is otherwise clean from what I see. 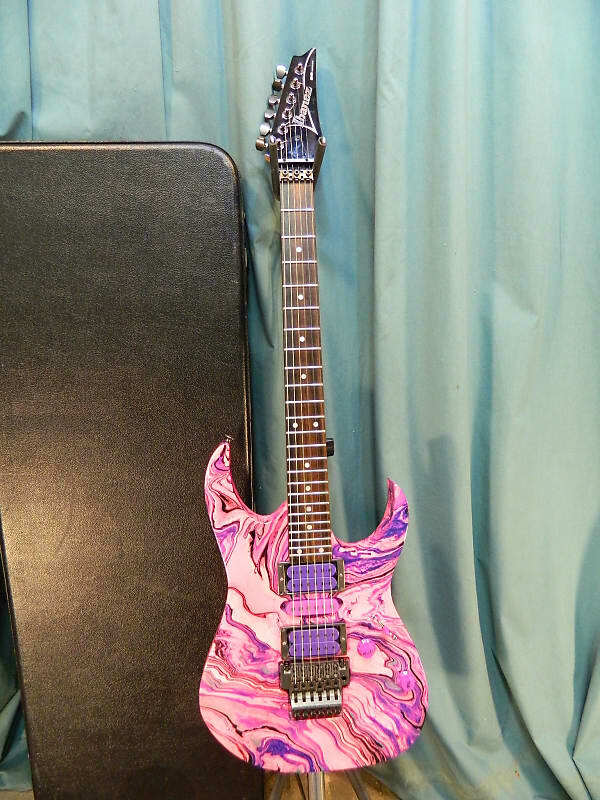 This guitar was made in Japan. 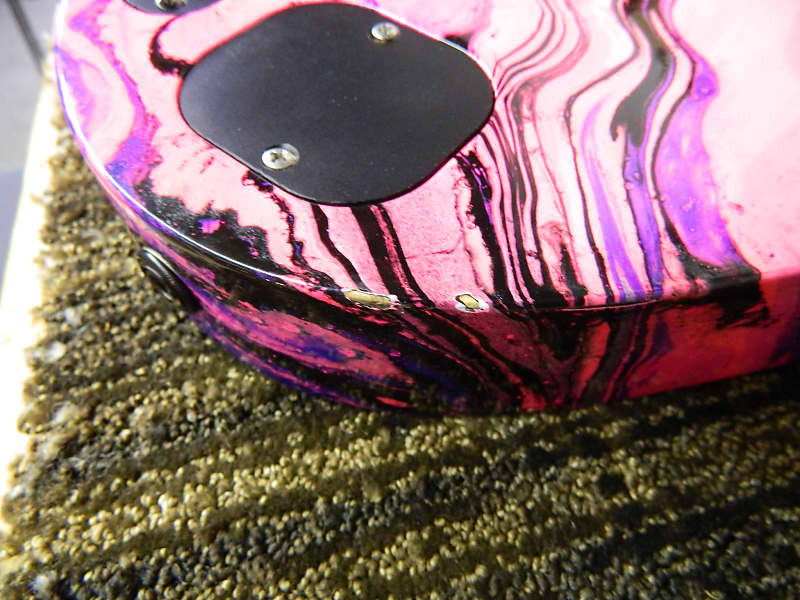 The guitar ships in the generic hard shell case as shown. 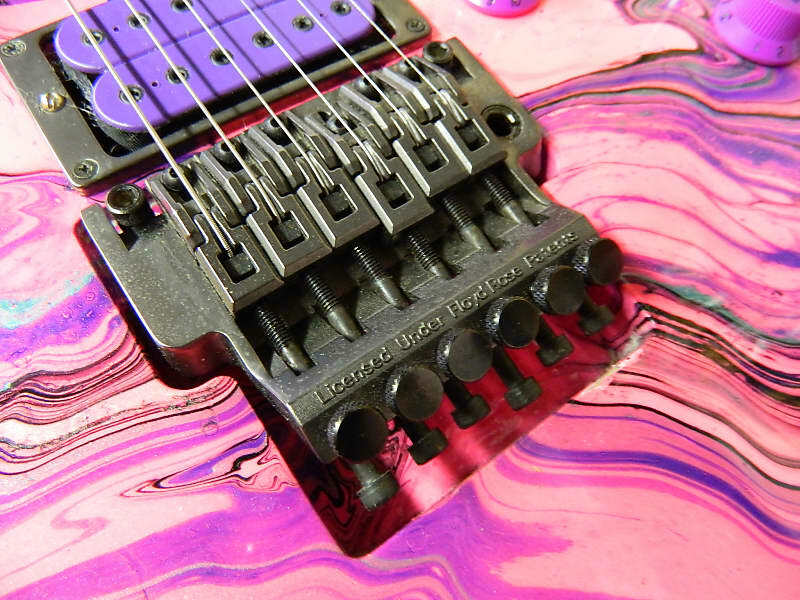 Guitars can experience slight changes in shipping that may require minor adjustments. 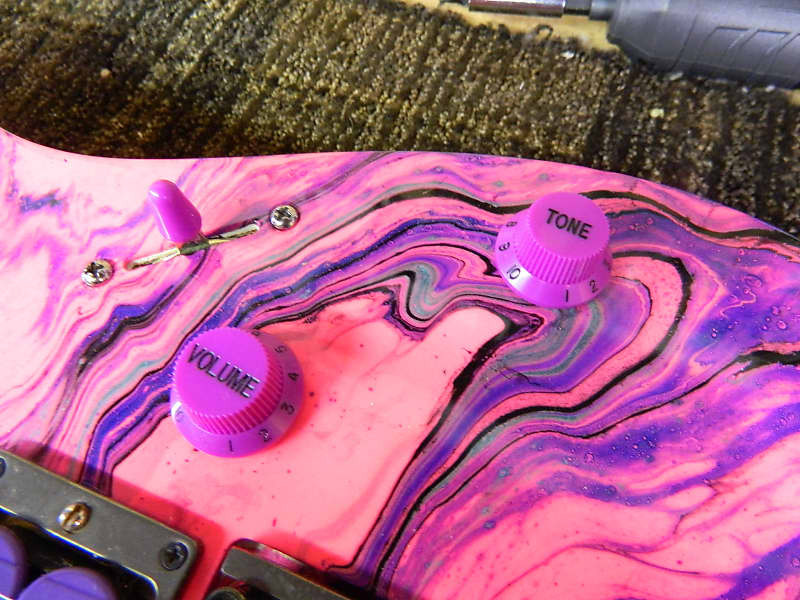 In addition, I can not predict how you like your guitar set up. 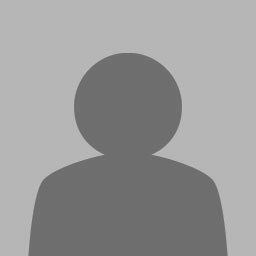 Be advised that minor adjustments or a set-up to your liking may be required and the costs associated with these adjustments should be expected. Under no circumstances will I be responsible for any shipping charges, send or return, unless this item is damaged in shipping. Please feel free to call me between 10:00AM and 6:00PM Eastern time with any questions or for an in hand description or e-mail me with any questions. Shipping is via FEDEX Ground unless you have specific needs which I will try to accommodate. 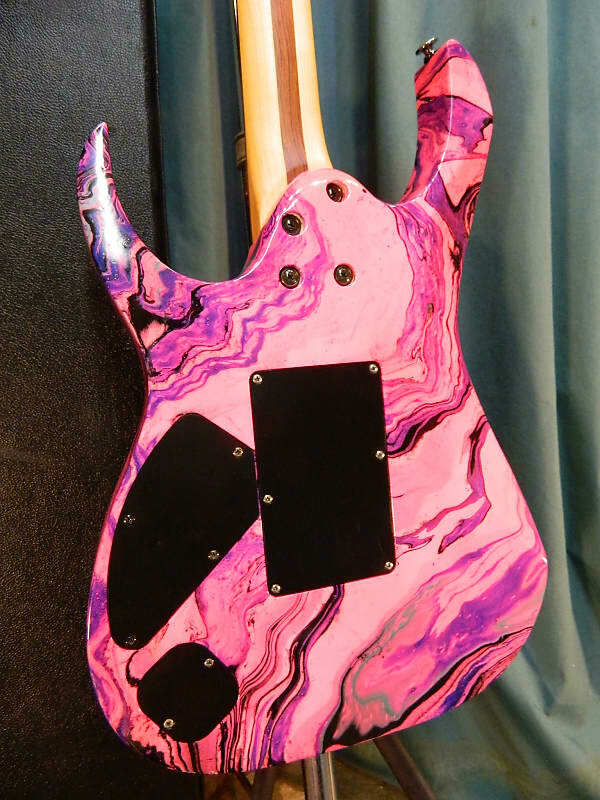 Generally I ship within 24 hours but I often travel throughout the US to acquire the guitars I offer here so there will be times that shipments may be delayed for a few days. If there is going to be a delay I will notify you. You must notify me of your intent to return any item withing 48 hours of receipt. You must have nay return delivered to the shipper within 96 hours of receipt. All returns must be shipped via the same carrier as received and insured in full. In the event of a damage claim you must retain all packing materials and I require 30 days to settle any damage claim.